Everytime retest MA20 level, it will rebound. 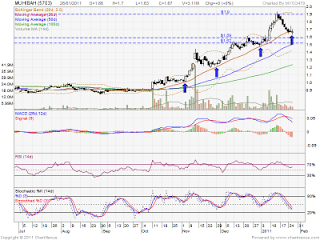 If future retrace down, it might retest RM1.59 & RM1.52 level. 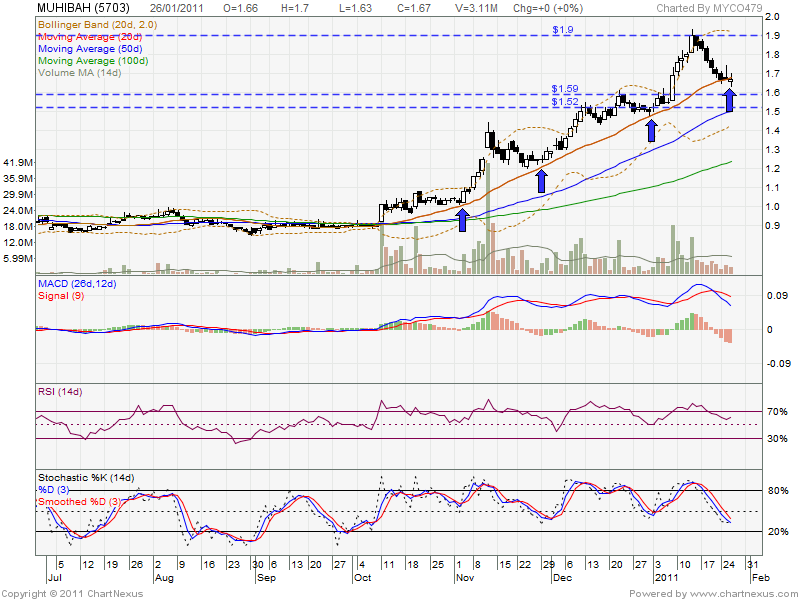 If rebound, it might retest RM1.90 resistant level. Contents : The Board of Directors of Muhibbah (“the Board”) is pleased to announce that the Company in consortium with Perunding Ranhill Worley Sdn. Bhd. (“the Consortium”) has been awarded the contract for the Engineering, Procurement, Construction, Installation and Commissioning (EPCIC) Alliance for the LNG Regasification Unit, Island Berth and Subsea Pipeline of the LNG Regasification Project from PETRONAS Gas Berhad (“PGB”) (“the Contract”) on 26 January 2011 for a provisional contract value of approximately RM1.07 billion.